What Company Structure Do I Use? 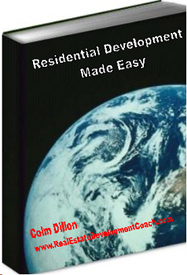 Does you book explain why those who develope residential lots and build as well have a separate company for developing and one for construction? More specificly which company, for tax purposes, should recognize the gain on the lot? As my ebooks sell in 54 countries I can only talk about matters that are common to all. You don't say where you live. As tax and company law varies so much from country to country I cannot answer such a question. However I do talk a good deal about creating a team of professionals around you to advance your development plans - one of those is a good accountant and lawyer. However like every other consultant you engage, you must interview them to ensure they have the experience you require. An obvious example is, " I want a lawyer, ... ah, there's one in the high street." You enquire and find that 85% of his/her practice is family law - but yes, they reply, we also do land conveyancing. Not good enough - you want someone who eats & sleeps property every day.